We’ll begin with an obvious hat-tip: to be eligible for social welfare payments because you’re sick or have a disability, you first have to be certified by a doctor. You can’t just wander into your local social welfare office and presume they’ll know what to do with you. The options available to you will depend on how long you’ll need to recover; for example, a couple of weeks versus a year or longer. Some social welfare payments are based on your PRSI contributions (the ah-heeeeeeere-but-has-to-be-done payment that automatically comes off your earnings and goes towards the Social Insurance Fund/social welfare). If you don’t have enough PSRI contributions (for example if you’ve been out of work to raise your demon spawn have a family), other options exist that depend on a means test/an examination of how much you’re earning. Illness Benefit – intended for those with a short-term illness. Invalidity Pension – a long-term payment. Disability Allowance – a long-term payment for those with a disability that will last longer than one year. Occupational Injuries Benefit Scheme – if you get an illness or injury at work or while travelling for work, i.e. you break your leg or contract some kind of mad tropical parasite while you’re working in Brazil on a super-secret mission. Supplementary Welfare Allowance – if you’re sick and you don’t qualify for any of the above, you might be eligible for this one. Generally, it’s for people who have no income. Each type of payment has different factors and pays different amounts; they also take into account if you have a dependent spouse/civil partner/cohabitant (the sexiest of all terms for your other half) and any dependent children. Any social welfare payment is made up of a weekly amount for yourself. This is the personal rate. You may get an extra amount for your kid(s), which is called an Increase for a Qualified Child (IQC). Age-wise, for short-term payments generally goes till the kid is 18 and three months, or around 22 for long-term payments – though it does depend. Citizens Information has more details on the ins-and-outs. You may also get extra for an adult dependent, called an Increase for a Qualified Adult. What are the payment bands? This bit is gentler on the brain; it’s also probably what you’ve come here for. Illness Benefit rates are determined by your average weekly earnings in the relevant tax year. So this is your total gross earnings (no deductions) in the relevant tax year divided by the number of weeks you worked. That number determines the payment you’ll receive. Of course, there are more terms and conditions, with different payment amounts for claims starting in 2008 and after, and 2009 and after. So let’s say you’re out sick and your other half counts as a qualified adult. You’ll get the €198 plus the additional rate. Simples? Any Illness Benefit will be paid into your bank, building society account, or to a Credit Union that allows for Electronic Funds Transfer. So just don’t expect them to hand it to you in person so you can stash it under your bed. With the exception of increases for your child dependents, Illness Benefit is considered to be income for tax purposes so it’s taxed by reducing your tax credits and rate bands. The application process for Illness Benefit is fairly straightforward: get an Illness benefit claim form (IB1) and a social welfare medical certificate (MED1) from your GP. You fill out the IB1 form and your doctor fills in the MED1 cert, which will need to be sent in the post to your local social welfare office. Just keep in mind that you’ll need to see your doctor to get a MED1 medical certificate each week for as long as you’re ill or until you’re told that you don’t need to. That’s not a lot of money – are there any other options? Why, yes, as it so happens: there is another option. 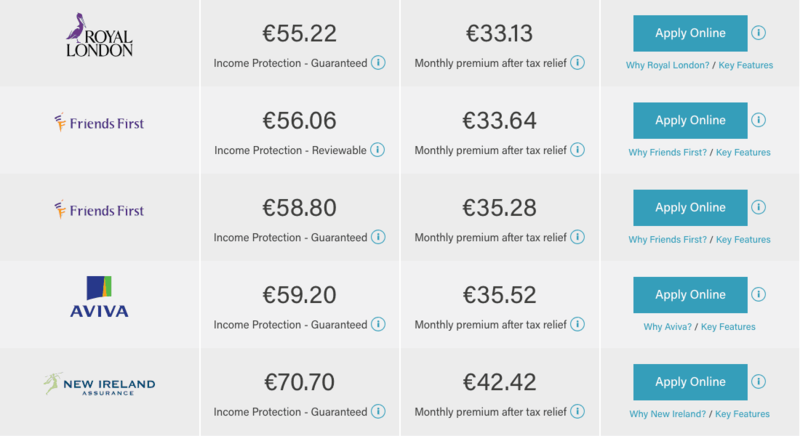 So you’ve probably read through all of this and got to the part with the numbers and seen that it tops out at €198 for the personal rate – and a few more quid if you have dependents. You’ve probably read that and had a moment of contemplation. That’s not a lot to live on. 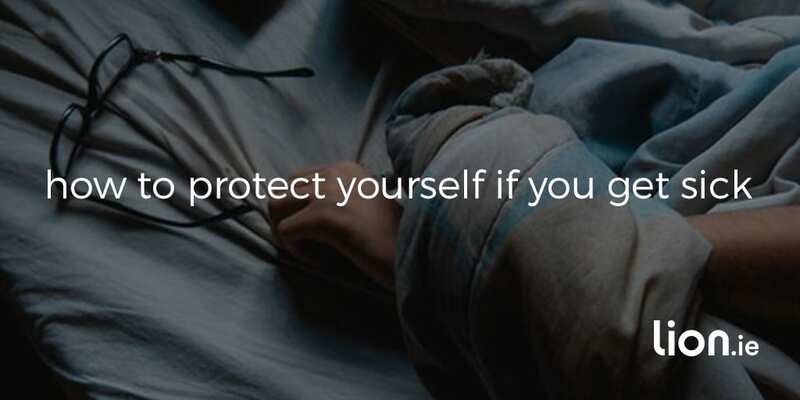 Which is why insuring yourself could be a life-saver. Think about it: most employers don’t cover sick pay (or if they do, it’s for a couple of days). Illness Benefits are fairly mangy. Income Protection could be a life-saver for you. Income Protection pays you up to 75 percent of your income until you go back to work or retire. I’ll let you in on a secret: the average length of an Income Protection claim is 5.5 years. It can take 5.5 years to get back to work, on average, is what that’s saying. Imagine earning €198 a week for 5.5 years. By the way, you’re also entitled to Illness Benefit if you have an Income Protection policy. That brings us to the big cojones of questions: how much does Income Protection cost? 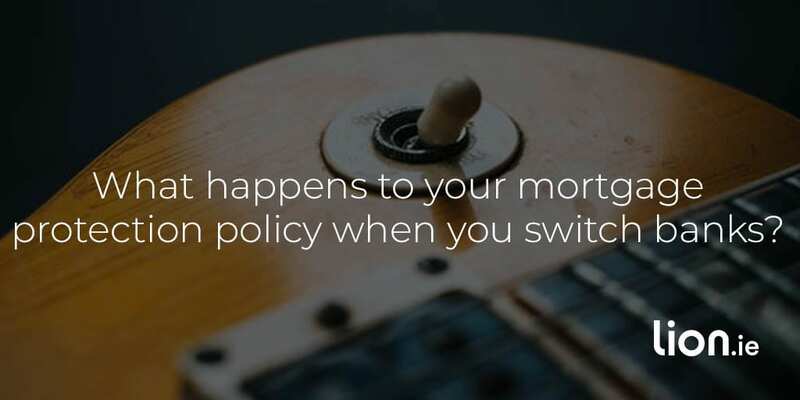 Let’s look at a quote: your average 35-year-old accountant, earning €45,000 a year who wants the policy to kick in after eight weeks to cover him for 20 years. Income Protection qualifies for tax relief based on your marginal rate – so that’s a relief, whaaaa? Imagine the difference a tenner a week could make to your life. 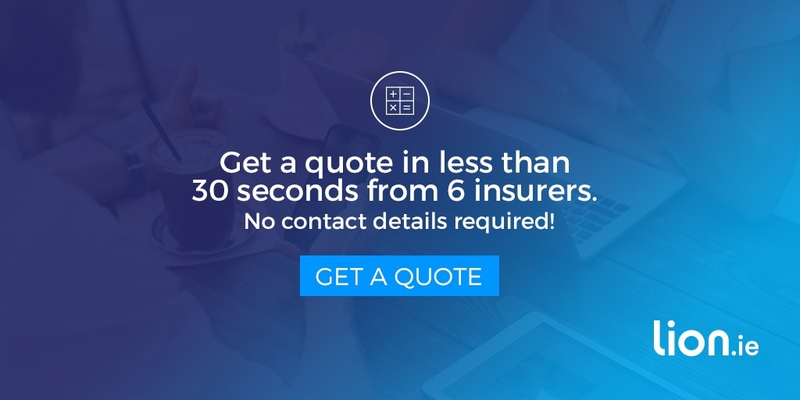 Sure click here to get an Income Protection quote all of your own. P.S. it’s even more affordable if you set the deferral period to be a bit longer (this is the amount of time before your cover kicks in). So there’s that, too. There are five Income Protection providers in Ireland and each offers different benefits. Make sure you get independent advice on all of the insurers. If you’re considering buying Income Protection, complete this questionnaire and I’ll come back to you asap. Once upon a time, Ireland’s entire housing market descended into a massive ball of fire. One of the things that fell away, alongside property prices (now rising meteorically again) was the habit of switching mortgages.